D.C. officials have decided not to fight a ruling that effectively strikes down the District's strict law that makes it difficult for gun owners to get concealed carry permits. WASHINGTON — D.C. officials will not fight an appeals court ruling that blocks the District’s own restrictions on carrying concealed weapons in public. D.C. Attorney General Karl Racine was joined by D.C. Mayor Muriel Bowser, Police Chief Peter Newsham and D.C. Council member Charles Allen at the announcement of the decision Thursday at One Judiciary Square. The U.S. Court of Appeals for the District of Columbia Circuit is expected to issue an order that strikes down the D.C. law that requires applicants who want a conceal-carry permit to prove they have “good reason” to carry a firearm in public. Under the law, reasons to get a concealed carry license might include a personal threat, or a job that requires a person to carry or protect cash or valuables. “After weighing the consequences of an adverse decision on our city and indeed across the country, including neighboring jurisdictions,” Racine said he’d decided against a challenge in the Supreme Court. Like the District, Maryland has a ”good reason” requirement for applicants seeking a license to carry a firearm. Newsham said the decision won’t drastically change the process of applying for a gun permit. Newsham said 123 people in D.C. have a license that allows them to carry a firearm. Newsham adds that there have been 668 applications to carry a firearm, with 444 denied because they didn’t meet the “good reason” standard. Bowser joined Racine and the police chief in stressing that anyone wanting to carry a firearm in the District would still have to go through the application process. “I want to make it perfectly clear that carrying a pistol without a license is a crime for which you will be arrested and charged and prosecuted,” Bowser said. 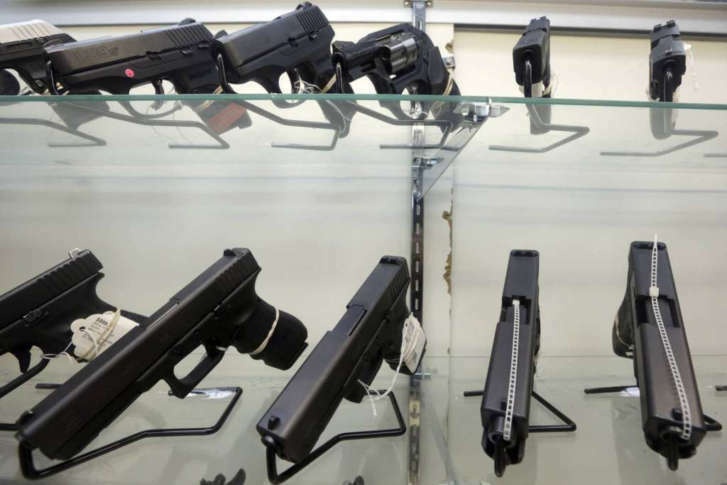 D.C.’s law suffered a setback in July when a divided three-judge panel of the U.S. Court of Appeals for the District of Columbia Circuit ruled that it infringes on residents’ Second Amendment rights. Gun rights advocates have long argued that D.C.’s law is unconstitutional and that it makes it difficult for people to defend themselves. The argument against taking the case to the Supreme Court is based on concerns by gun-control advocates that an unfavorable ruling by the nation’s highest court could nullify conceal-carry restrictions in states across the country, including Maryland. With the action by the appeals court in Wrenn vs. the District of Columbia, its possible that anyone seeking a conceal-carry permit could begin applying for one as early as Thursday.